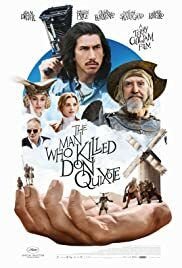 Terry Gilliam's doomed attempt to get his film, The Man Who Killed Don Quixote (2018), off the ground. Based on manga series "Neko to Jiichan" by Nekomaki (first published August 7, 2015 by Kadokawa). A terminally ill girl, who dreams of going to Finland to see the northern lights, falls in love. Toby, a cynical but supposedly genius film director finds himself trapped in the outrageous delusions of an old Spanish shoe-maker who believes himself to be Don Quixote. In the course of their comic and increasingly surreal adventures, Toby is forced to confront the tragic repercussions of a film he made in his idealistic youth - a film that changed the hopes and dreams of a small Spanish village forever. Can Toby make amends and regain his humanity? Can Don Quixote survive his madness and imminent death? Or will love conquer all? Today's a marvelous day for adventures! I don't know what people were expecting from this movie and I really don't get the low scores. 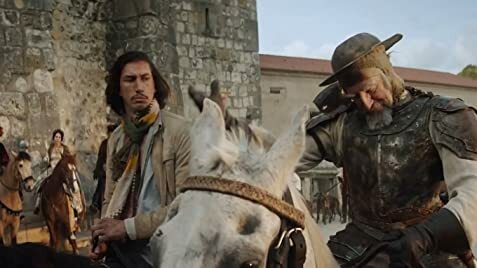 This movie was fun, adventurous, well acted and above all else very different and unique, with a brilliant twist on the Don Quixote story. This film did not come out of Hollywood's movie spewing machine so I would guess audiences nowadays are too dumb to comprehend a good work of art. 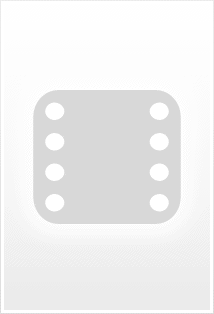 A metaphor. An analogy. An intricate story that blends fantasy and real, history and present, fact and fiction. This film was wonderful and I smiled all throughout. It is similar to films such as Holy Motors (2012), The Imaginarium of Doctor Parnassus (2009), Birdman or (The Unexpected Virtue of Ignorance) (2014) so if these ring a bell please give this film a chance. You will thank me later. I rated it a 9 because so many people rated it so low and, honestly, it's at least a 7. Considering the fact I smiled all throughout the film I give it a 9 but objectively it as an 8.